Fireflies and Jellybeans: DIYClub anniversary party ending tonight! 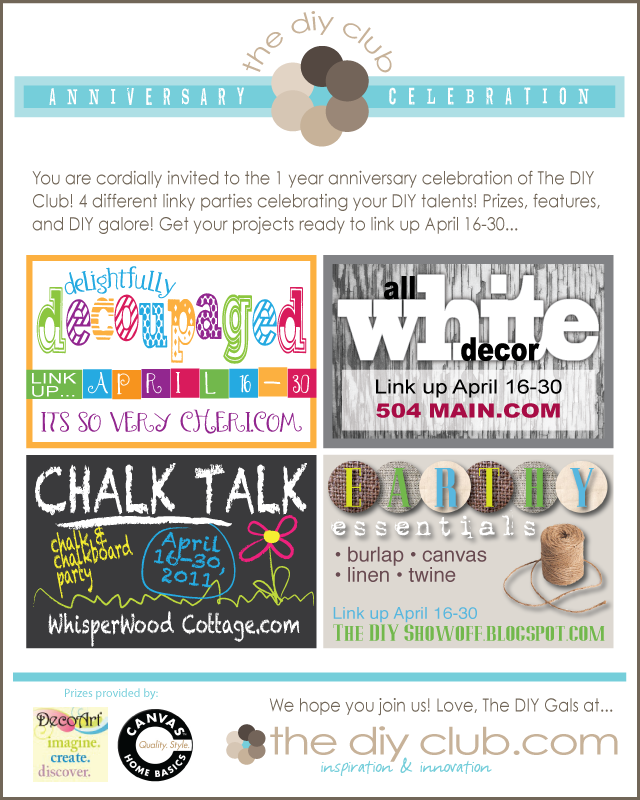 Here is a super late shout out to the DIY Club Anniversary party! All the great stuff ends tonight (4-30) so head on over and check it out!